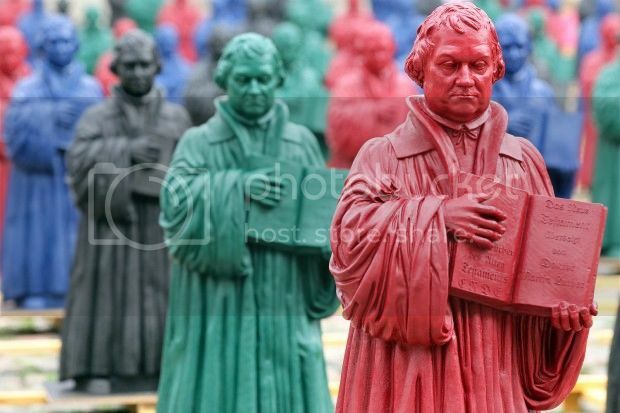 Plass: "AND SO history teaches that 'pride goeth before a fall,' as Luther remarks in effect while explaining Psalm 127:1." I am convinced that monarchies would have endured much longer if the monarchs had omitted the one pronoun 'I,' that is, if they had not been proud in confidence placed in their own power and wisdom. As soon as the monarch of Babylon, Nebuchadnezzar, inflated by presumption because of his own power, says: This I have done, he must eat grass like a beast for seven years and roam about in the fields. So the Persian, so the Greek, so the Roman powers were destroyed because of presumption. When they sang: This I have done, there soon followed: and I perished. Forget about trying to figure out what a fox says! In a Lutheran layman's terms, it's better to spend some time figuring out and prayerfully considering what Martin Luther said about various topics, because he will always point you to the truth of the matter, which is derived from the Word of God.